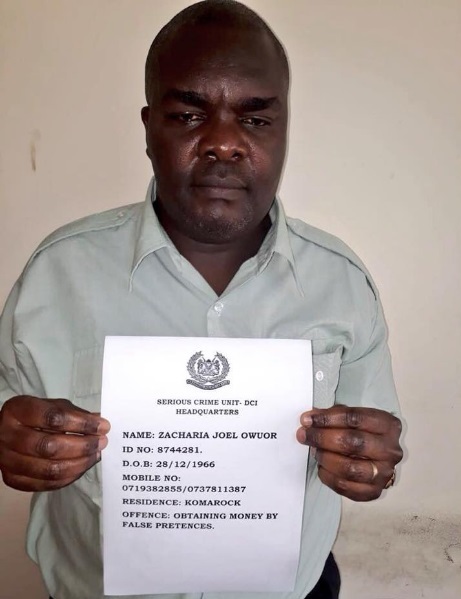 Home / Editor's Choice, Entertainment News / These 4 MEN tried to con someone Ksh 65 Million before KINOTI’s men pounced on them (PHOTOs). These 4 MEN tried to con someone Ksh 65 Million before KINOTI’s men pounced on them (PHOTOs). Monday, August 27, 2018 - These men are dangerous cons who have been de-frauding innocent Kenyans. They pretend to be connected with powerful people in Government during their missions. They approach their victims with promises of tenders and ask for money to facilitate the tendering process. Once you give them money, they disappear. 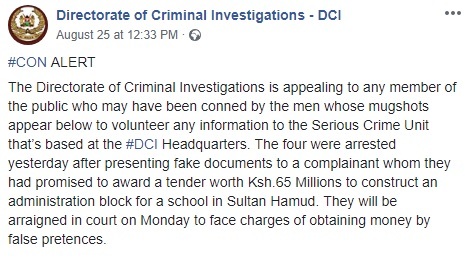 They were arrested by CID trying to con someone Ksh 65 Million.